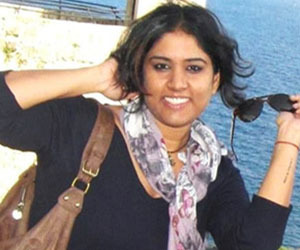 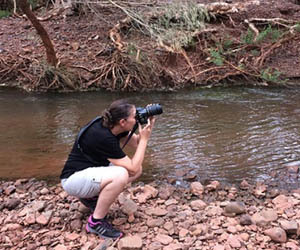 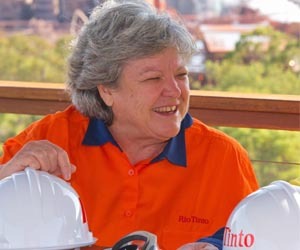 Rio Tinto embraces difference by creating an environment where all employees can be their best self. 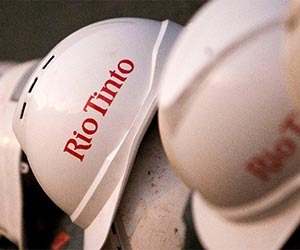 That's why Rio Tinto has pledged to support the European Round Table of Industrialists (ERT)'s diversity and inclusion commitment. 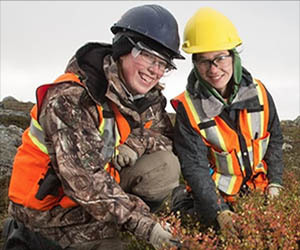 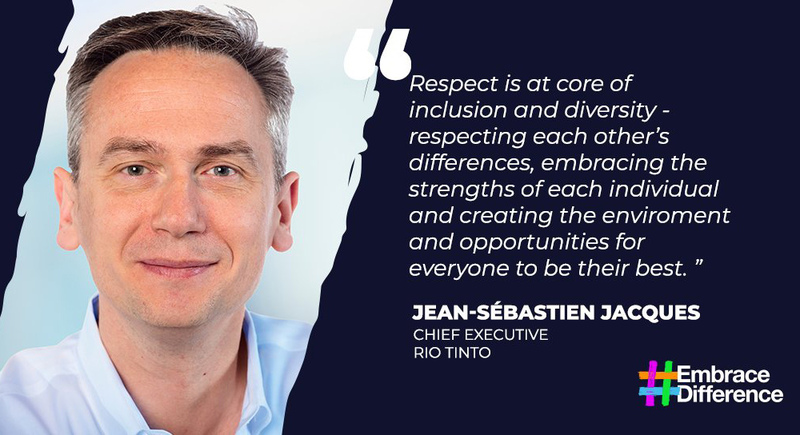 "Respect is at the core of inclusion and diversity - respecting each other's differences, embracing the strengths of each individual and creating the environment and opportunities for everyone to be their best," said Rio Tinto's Chief Executive Jean-Sebastien Jacques. 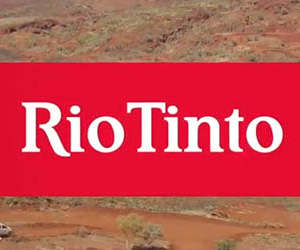 European Round Table of Industrialists (ERT) is an organisation that drives for inclusive growth and sustainable prosperity in Europe whose members are Chief Executives and Chairmen of major multinational companies in Europe - including the participation of Rio Tinto's Chief Executive. 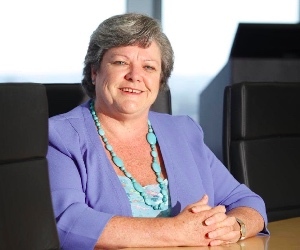 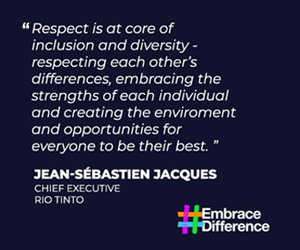 The ERT launched a pledge campaign called 'Embrace Difference' that has seen Rio Tinto's Jean-Sebastien join around 50 leading business people from a wide range of industrial and technological sectors in reinforcing their commitment to inclusion. 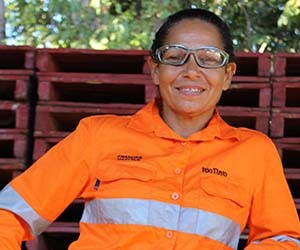 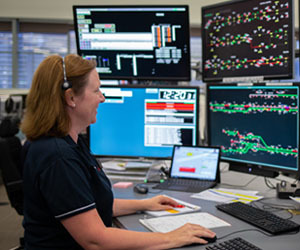 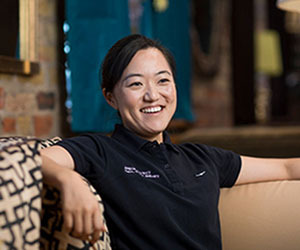 As a global leader in the mining and metals sector with around 55,000 people operating across six continents in more than 40 countries, Rio Tinto has lots of exciting career pathways and opportunities available. 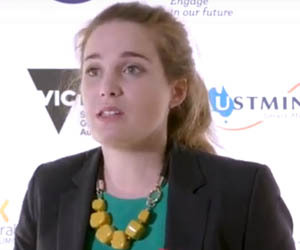 Sign up to their Talent Network today to work with talented women within a company that consistently encourages and embraces diversity.